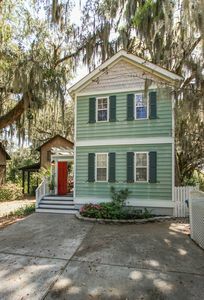 TOTAL Renovation Completed in 2019! 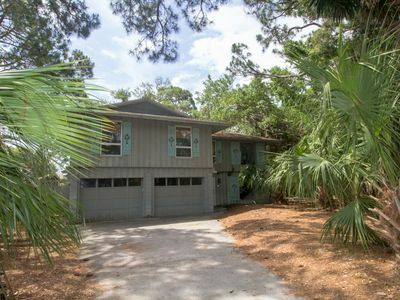 We have owned properties on Fripp Island since 2005. 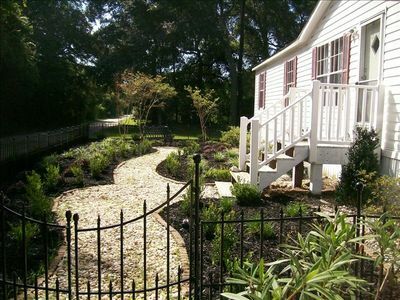 We are excited to share this FABULOUS property with you! *PLEASE NOTE! Week long Saturday to Saturday Rentals ONLY in the Summer (Memorial Day-Labor Day). Amenity Cards Available with Additional Fee of $50/card per week! 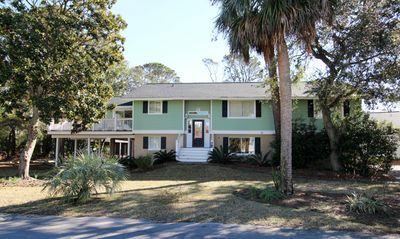 Our home is on one of the largest lots on the island & backs up to #6 fairway of the Ocean Point Golf Course! 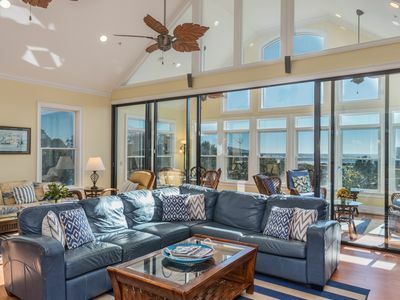 STUNNING HUGE Central Great Room & Dining Room with massive Smart TV (one of 6 in the home). 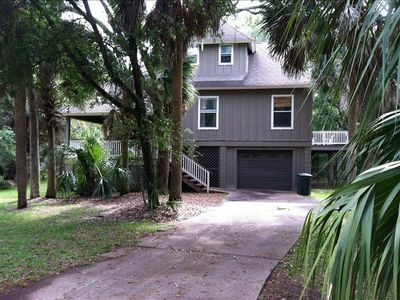 BRAND NEW KITCHEN with MASSIVE Central Island Open to Great Room, Dining Room, & WOW View Sunroom! Mudroom with Full Bath & Charming Barn Door off Garage Area! PRIVATE SEPARATE Bedroom Wing- THIS IS AWESOME for Sound & Privacy! 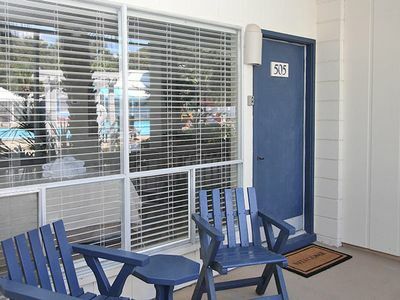 Two Master Suites both with King Sized Beds & En Suite Full Bathrooms! Secondary Bedrooms offer AMPLE Sleeping with one room housing a Queen Sized Bed & a Full Sized Bed & the other room housing Two Twin Beds! Secondary Bedrooms are Serviced by Hall Bathroom! 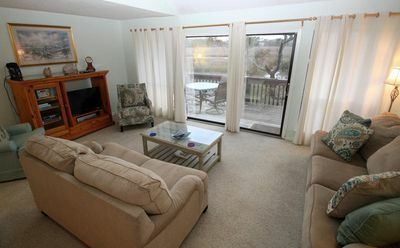 All Bedrooms, Great Room, & Sunroom Offer Smart TVs complete with ALL the Latests Options & DirectTV. Brand New Back Deck is Complete with Propane Grill, Outdoor Dining Table, & Lounge Chairs. Professionally renovated interior at the HIGHEST QUALITY & Designer Finishes THROUGHOUT! 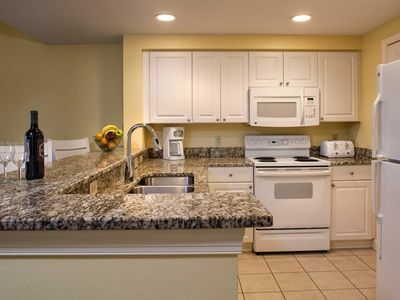 Home is FULLY Stocked with EVERYTHING You Need to Enjoy Your Stay! 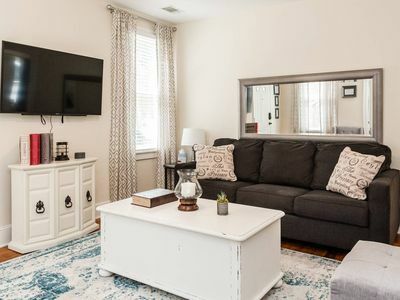 Kitchen offers Stainless Steel Appliances with LARGE Refrigerator, Commercial Grade Dishwasher, Drawer Microwave/Warming Drawer, Stainless 5 Burner Range, Kitchenaid Mixer, Keurig Coffee Maker, Brand New Cookware, Plenty of Tabletop & Stemware. GAMES! 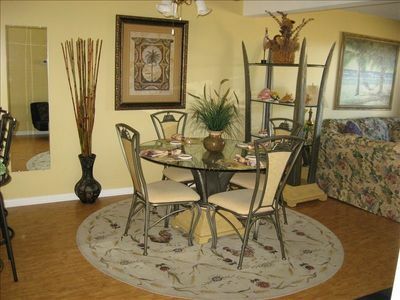 You will find PLENTY of Board Games, Cards, & Puzzles in the Home! Sunroom also has a REALLY COOL Poker Table! Beach STUFF! Buckets, Beach Toys, Beach Games, Beach Chairs, Beach Towels, YOU NAME IT! We have EVERYTHING Beach!! HIGHEST QUALITY LINENS! This means A LOT to us! All sheets & towels are high quality & COMFORTABLE~perfect after a day in the sun. Furnishings & Finishes are all HIGH QUALITY & Professionally Done~Frontgate, Ballard Designs, Restoration Hardware, & Pottery Barn. TWO HIGH SPEED WIFI HUBS! This is a BIG DEAL! No One Gets Knocked Off! Large Capacity Washer Dryer in CONVENIENT Mudroom! Separate Refrigerator in Garage for Beverage Storage! Price does not include amenity cards but we can provide them at the rate of $50/card for a full week or $35/card for a long weekend. Amenity Cards are REQUIRED by anyone 13 years old or older to use the island amenities (swimming pools, dining, tennis, golf). We do have bikes at the home you are WELCOME to use. They are new as of 2018. Bikes can also be rented from the Marina. We do own a golf cart but due to liability & insurance reasons we have elected not to include the cart in the rental. Additionally, we can not authorize its use. 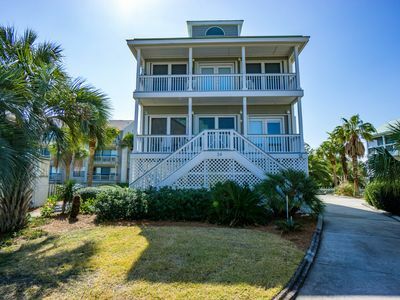 We recommend booking your golf cart with the Marina on the island. They have MULTIPLE options & can service the cart immediately if necessary. Last rate was approximately $345 for a week for a 4 person golf cart. 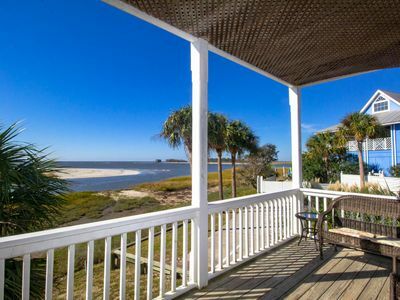 We LOVE Fripp Island! And we LOVE our NEW HOME! We are very proud of the work we have done to make this our home away from home. We are excited to share it with you & your family! ENJOY! 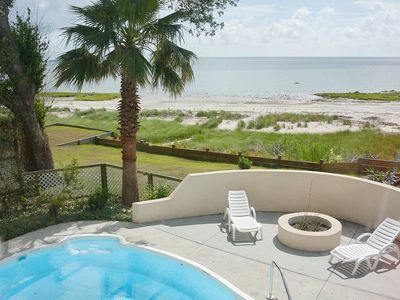 "Pet Friendly, Excellent Ocean View with Direct Beach Access!" Great Location! 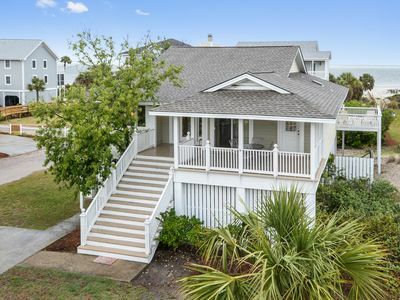 Walk to Beach, Ocean Creek Golf, Marina~in the Midst of it all! Please ask us about Golf Packages for Monthly Rentals!!!! 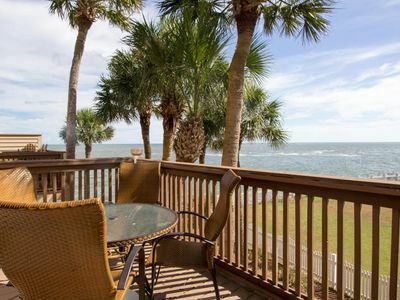 Affordable & Beautiful Luxury Condo on Beach w/Free WIFI! 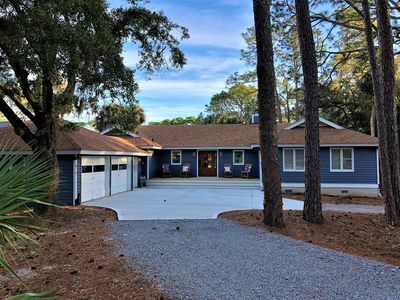 Family friendly 4 plus bedrooms! Come visit quiet, secure Harbor Island. 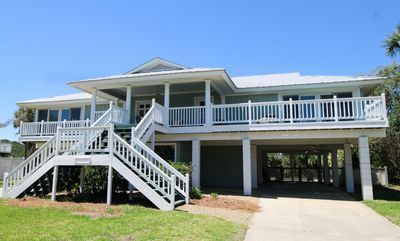 796 Marlin Drive is a second row house with ocean views and lots of fun features! 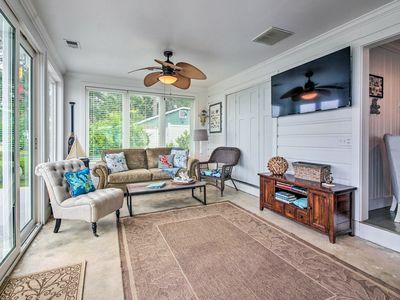 Starting with a large front porch, this open floor plan has everything you could want. 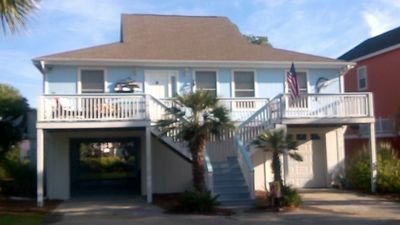 5 bedroom 3 bath house on the north side of the island Please ask us about Golf Packages for Monthly Rentals!!!! 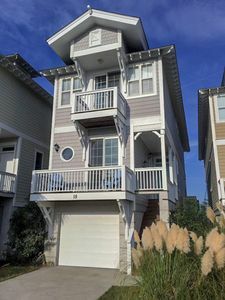 12 Sea Mist is a lovely two story home located in the Veranda Beach area of Fripp Island. Please ask us about Golf Packages for Monthly Rentals!!! !